You will never forget me! 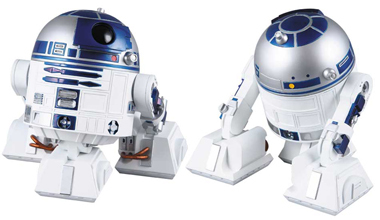 Medicom Toy is going to release the 6″ R2D2 vinyl doll in November 2009. This R2D2 is produce by H8Graphix & prototype made by Motor Ken. It is not so easy to get because it only limited to 400pcs. 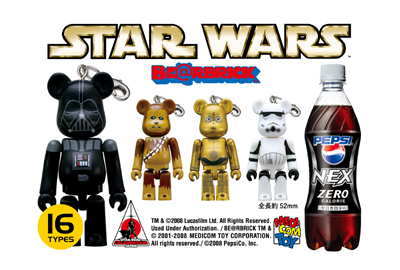 We had reported the Be@rbrick Star Wars For Pepsi Nex earlier this month. And now, we take you to have a closer look of all the 16 design of Be@rbrick that you are going to get in this July 2008. Check out more images after the jump. In conjunction with the “Star Wars Celebration in Japan” event, Suntory Limited is going to give away the 70% Star Wars Be@rbrick with every bottle of Pepsi Nex. 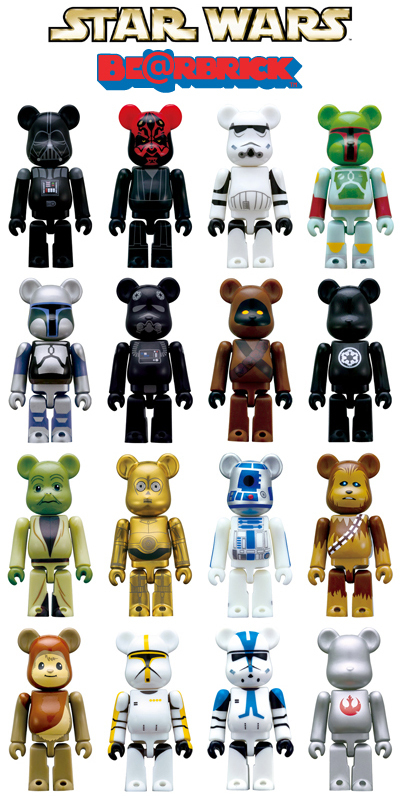 There is a total of 16 designs of Be@rbrick to give away in July 2008 including : Darth Vader, Darth Maul, Stormtrooper, Boba Fett, Jango Fett, TIE Fighter Pilot, Jawa ,Imperial Logo, Yoda, C-3PO, R2-D2, Chewbacca, Wicket, Clone Trooper [Ep II], Clone Trooper [Ep III] & Rebel Alliance Logo.